Our A Very Toddler Christmas series is in full swing! We have been having so much fun sharing a simple activity each day. 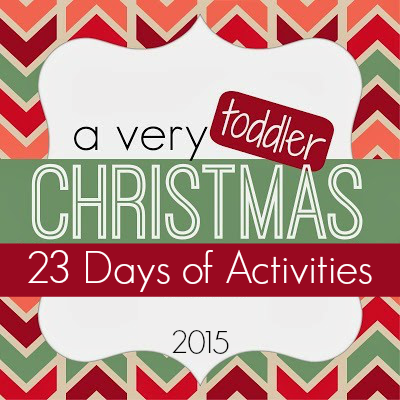 I think the Toddler Christmas science activity we shared yesterday is my absolute favorite! 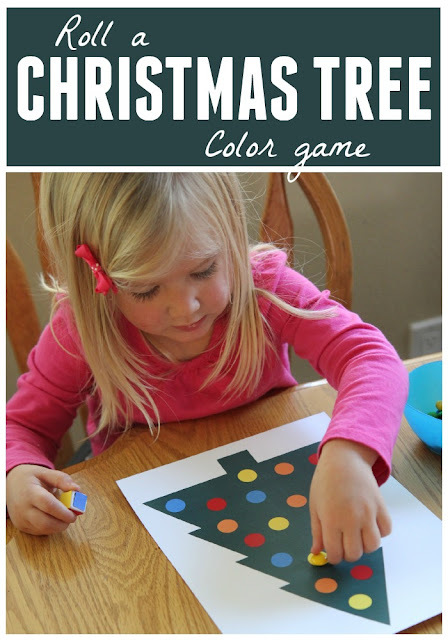 For Day 7 of our A Very Toddler Christmas series we are playing a roll a Christmas tree color game! This is a simple color matching game that is fun for kids of a variety of ages. We also adapted the game for older kids, so scroll down to check that out too! 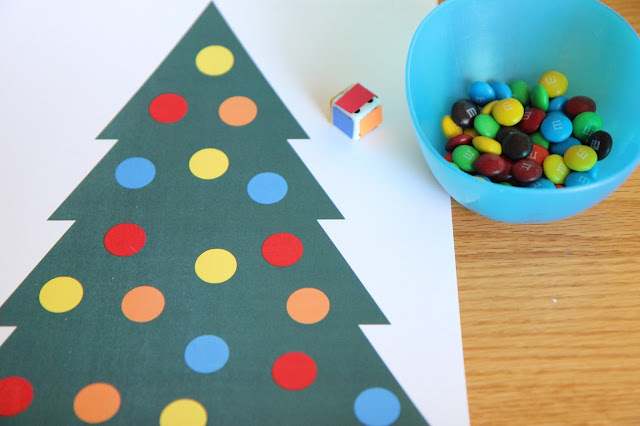 To get started you'll want to take a plain die and turn it into a color die by sticking a different colored piece of paper on each side of the die based on the colors on the roll a Christmas tree printable. I just cut a few pieces of colored paper and taped them to the sides of the die. Next put a handful or two of M&Ms or another game material in a bowl and now you are ready to play! Each player rolls the die on her turn and then looks at the color that is face up on the die. 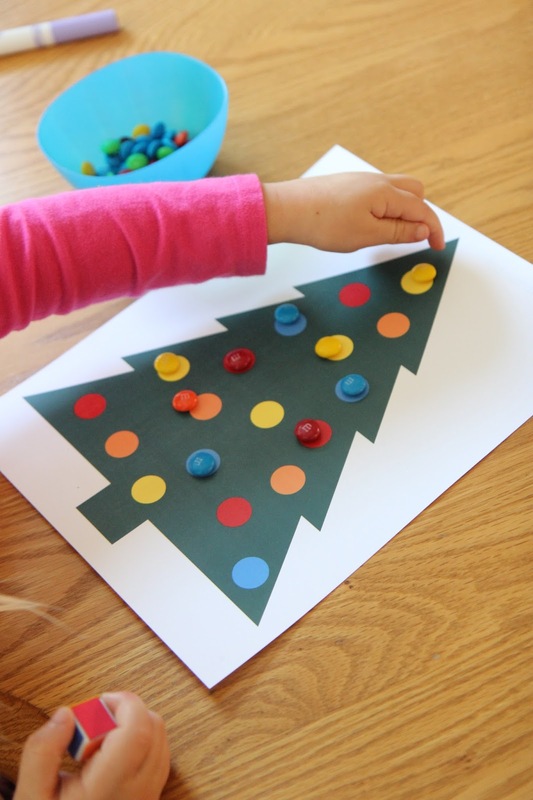 If red is on the top of the die then the child will grab a red M&M and put one M&M on a red dot on the Christmas tree. Players keep rolling until they've covered every circle "ornament" on the Christmas tree! 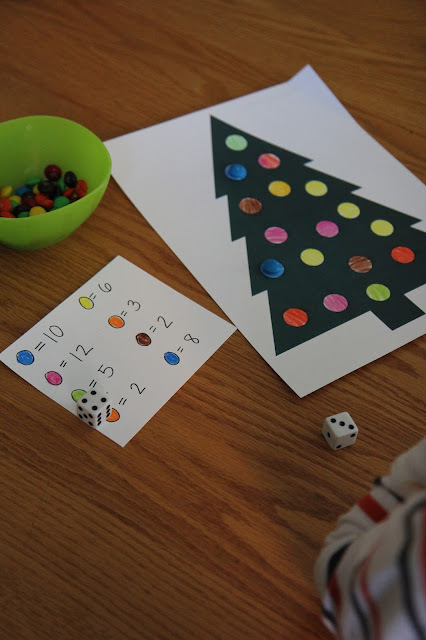 For bigger kids you can color the balls any color using our blank Christmas tree templates and markers and even add in two dice and addition/subtraction if you would like. The goal however you play is to cover up all of the ornaments on your Christmas tree first! 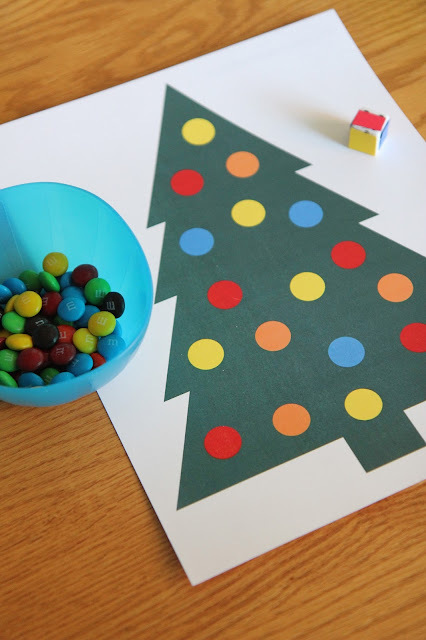 I also just used this printable and M&Ms and just had the kids match the colors to the right circle ornaments without any rolling or dice. Such a fun and easy activity! The kids of course snacked on a few M&Ms while we played.